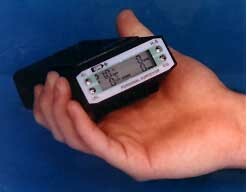 CEA Instruments, Inc.atures of the Personal Surveyor Series multi-gas monitors include one button operation, electronic zero and high contrast digital display of alarm setting and all STEL, TWA, maximum, minimum and current gas levels. Gas sensors are available for applications including confined space entry. This unit is UL approved and can simultaneously detect up to four gases. A compact, self-contained air pump, data logging software, carrying case, calibration kits, and other accessories are available. The system is designed for simple operation and maintenance and is rugged, weatherproof, RF shielded, and weighs about one pound. Rechargeable and alkaline battery packs are interchangeable quickly. The sensors normally last over two years and can be easily replaced in the field, according to the company.